Great lo! thank you for playing along with us 7Dots Studio! It's a pleasure to make this page! Wonderful creation with a very precious photo! Beautiful page! The soft pastels so so well in this one! 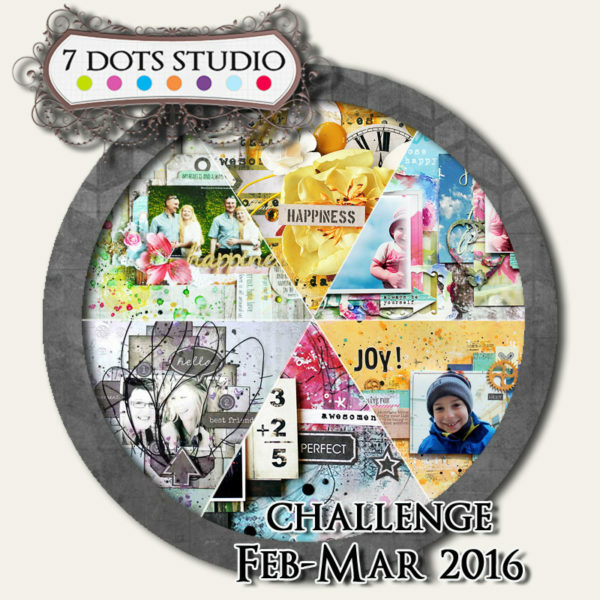 Thank you so much for joining the 7 Dots Studio challenge! It was a great challenge! !